I've been in Denver this week for work and last weekend, I realized I needed a new zipper pouch for my makeup. I tried a few tutorials and patterns for zipper pouches in the past, but while scrolling through Pinterest, I saw this one. It looked really quick and easy so I went ahead and got started. I picked a fat quarter from my stash for the body of the bag and paired it with a pink Kona. I even had the pale pink zipper in my stash! The lining is a fun pink print I've had forever. This was such an easy make! I don't love that the seams are visible on the inside of the bag but I guess you could easily bind the raw edges to encase them and make the inside look as nice as the outside. I love how the tutorial shows you how to add the zipper tabs before sewing the zipper in. They add such a nice touch to the bag. I really like this pouch and it came together so quickly, I think I might need to make a bunch more! 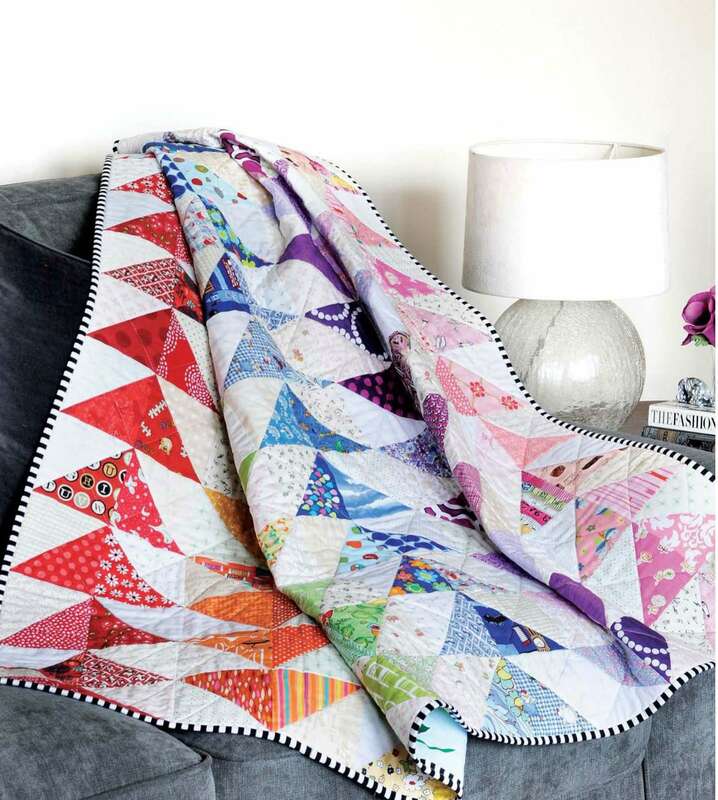 I will be linking up at Crazy Mom Quilts for Finish It Up Friday. Hi everyone, my name is Judith of Just Jude Designs and it's my turn this month to tell you a little about myself as one of the 2017 Finish-A-Long hosts. 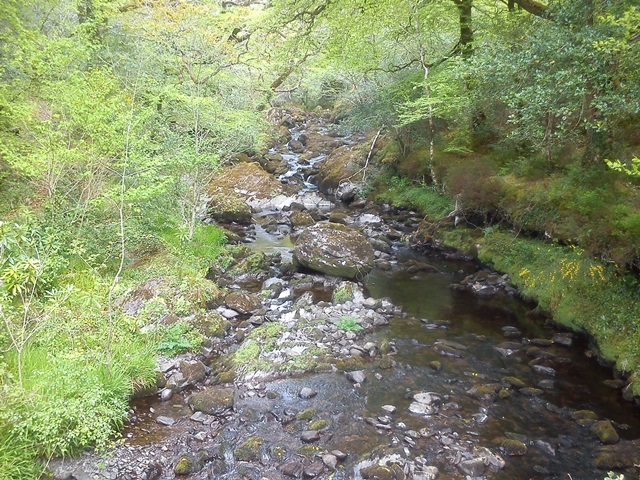 I was born in Northern Ireland, and apart from 7 years living in England, I have lived here all my life. 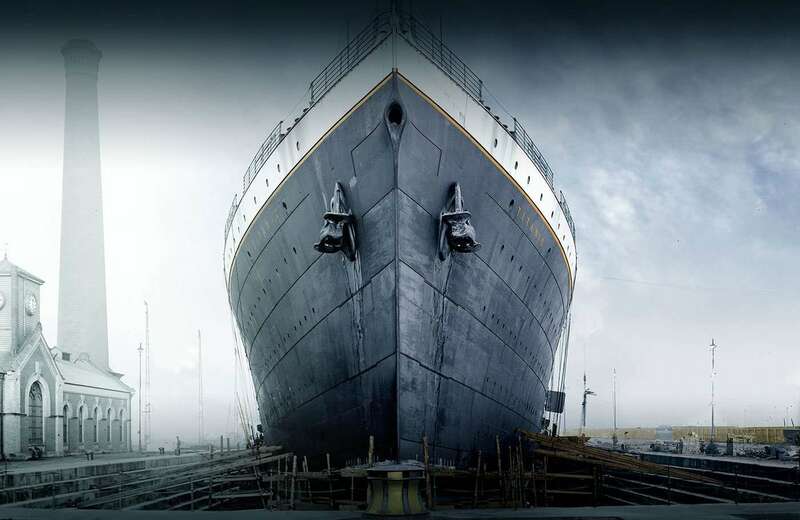 I currently live 5 minutes away from where the famous RMS Titanic was built in Belfast 1911. 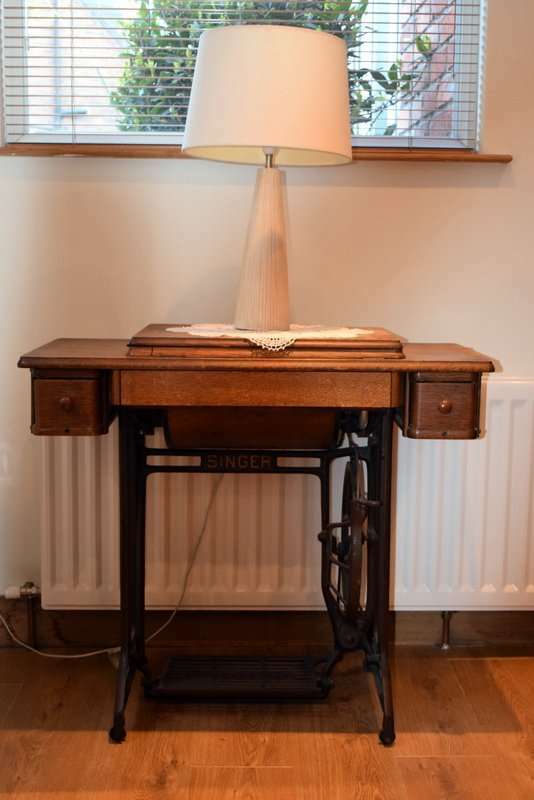 I started sewing when I inherited my Nanny Maud's singer treadle sewing machine at the age of 11. I had already been crocheting clothes for my dolls from the age of 9, but now I could sew them blankets too! When I started high school (11) I took Needlework. On my first day, I walked into the Needlework room and saw it was filled with electric sewing machines, but tucked away in the corner was a Singer Treadle machine! I pleaded with the teacher to let me use it, and then spent the next 3 years making garments on it! The start of my happy place! I continued sewing on my Singer Treadle, teaching myself naive patchwork from recycled clothes, curtains and scraps. (I still love working with recycled textiles today!) 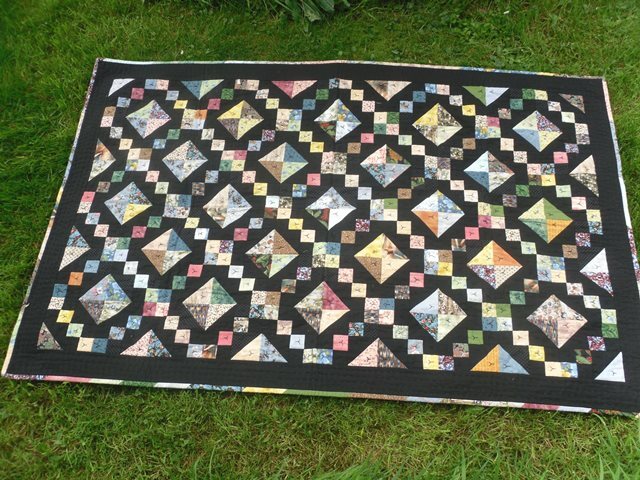 I made my first little quilt, a pram quilt, when I was pregnant with my first daughter (1995). 2 days before my 3rd daughter was born, I turned 30, and my family bought me my first electric sewing machine. I'd been sewing for 20 years and had never used an electric machine! 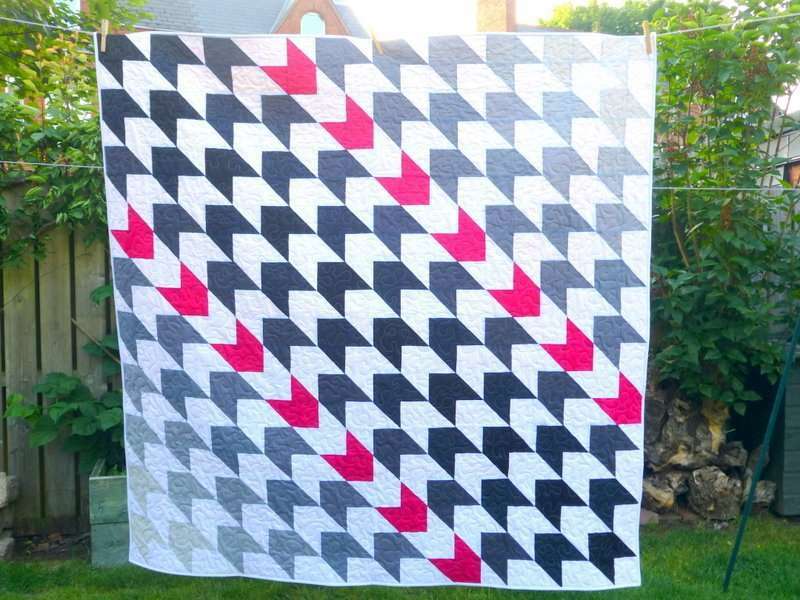 I fell in love with my Brother machine, and then upgraded to a Pfaff Quilt Expression a few years later, which I still use today. 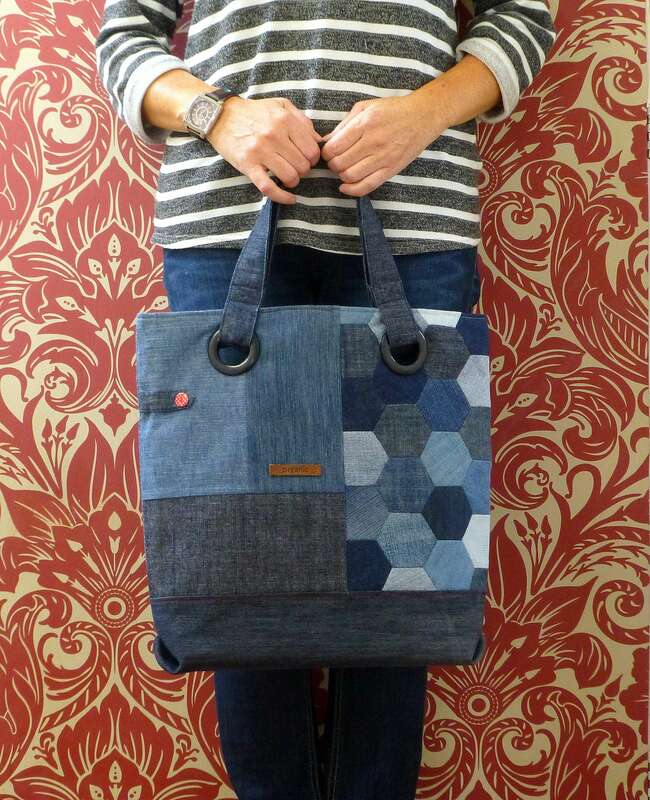 When my youngest daughter started school, I went 'back to school' myself, studying City & Guilds Textile and Design. 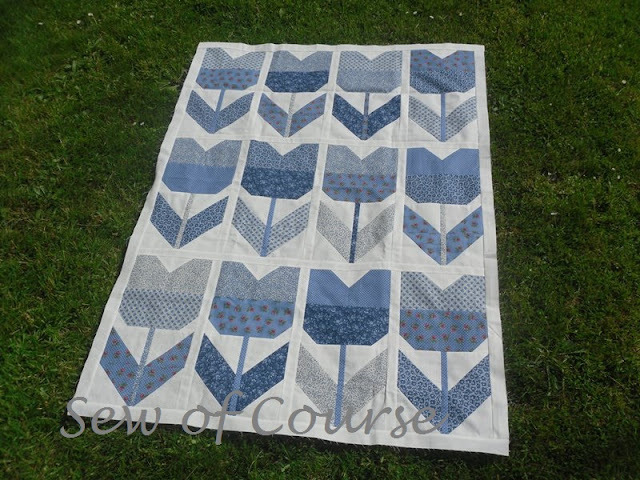 I thought it was time I learned how to sew and quilt properly! My motivation for taking this 2 year course was therapeutic, a kind of 'play therapy', recommended by my counsellor to overcome depression. It worked! I finished and passed my course and was invited to teach patchwork to a group of women with mental health issues at a local community centre. 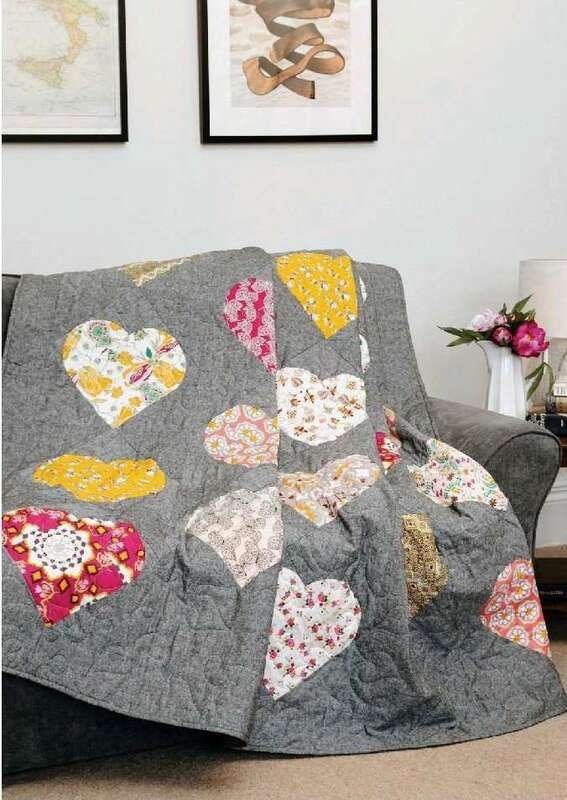 I didn't even know how to teach patchwork, but I overcame my nerves and quickly started on a new passion for teaching and inspiring others to love patchwork too. 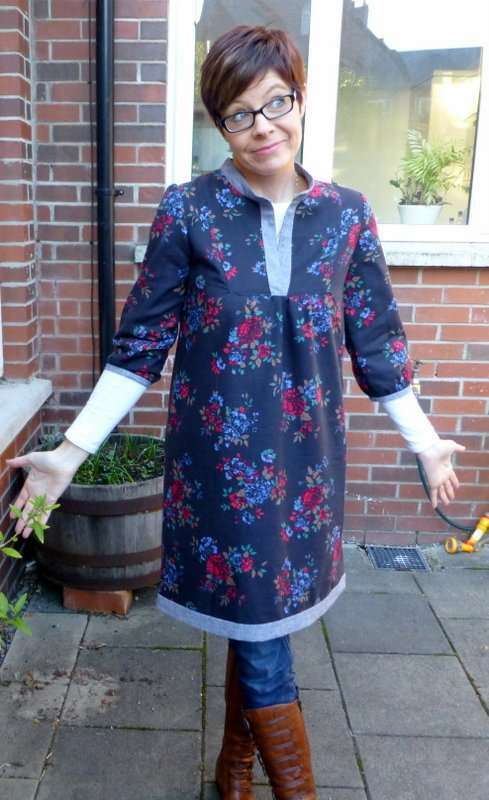 For 2 years I taught women suffering from a wide range of mental health problems and saw first hand the therapeutic benefits they experienced after only a few short weeks of sewing. One lady in particular, old before her time, stooped with low self worth and heavily reliant on a walking stick, made her first patchwork cushion and within 6 weeks was coming to class without her stick and walking tall!! Like many others, learning a new skill within a caring community, and having something to show and be proud of, elevated her self-esteem and ignited hope and positivity in many areas of her life. Over the past 10 years I have continued teaching in different venues, running my own programme of classes and also teaching for others. 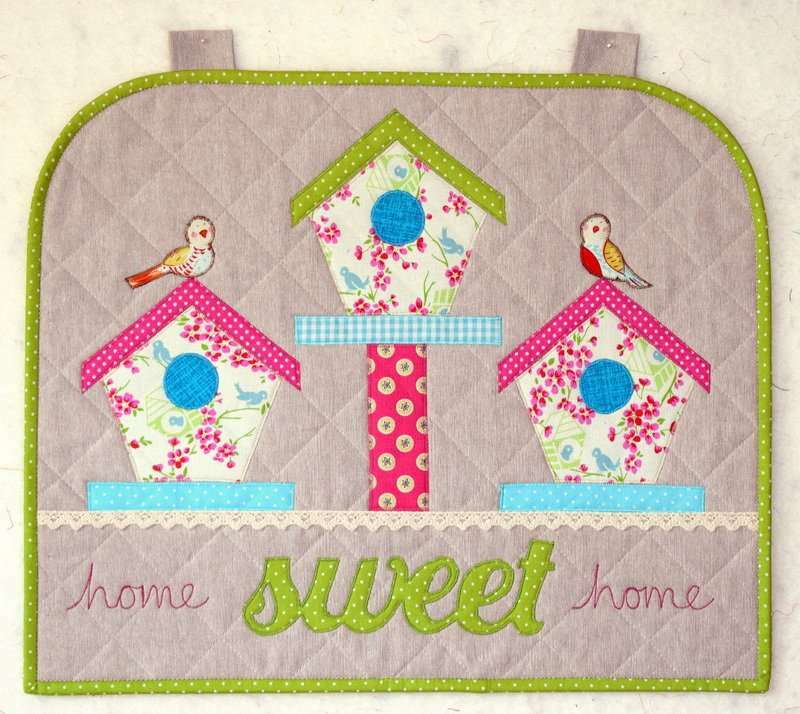 I also design quilts, cushions and bags for a number of UK based quilting magazines, and sell my patterns via my website, Etsy and Craftsy. As a sole trader it is important for me to connect with other creatives, both professionally and personally. 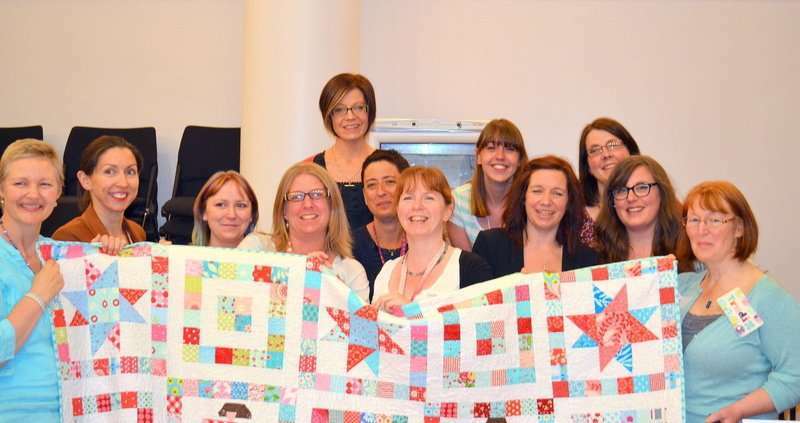 Being part of the quilting blogging community for the past 6 and a half years has been a hugely positive and affirming experience for me, and it has been my privilege to be a part of many bees, swaps and charity groups. If you have made it this far, thank you! Thank you for taking the time to read this and being part of Finish-A-Long 2017. Things are slowly getting back to normal at work so I've been spending a little bit more time at my sewing machine. I wasn't in the mood to work on a big quilt plus I have a business trip to Denver coming up at the end of the month so decided to make myself a laptop bag. I found a tutorial, purchased some interfacing and some fusible fleece, cut up some long hoarded fabric and then disaster struck... The tutorial was written for experienced bag makers, did not have clear instructions and skipped some pretty vital steps. Anyhow, I got extremely frustrated and gave up on the bag. Then a good friend came over and noticed I had a quilted lunch bag... She loved it and asked if I'd be willing to make her one. I was already in a bag making kind of mood and knew I would be able to make that bag because I'd done one before so I said yes!! 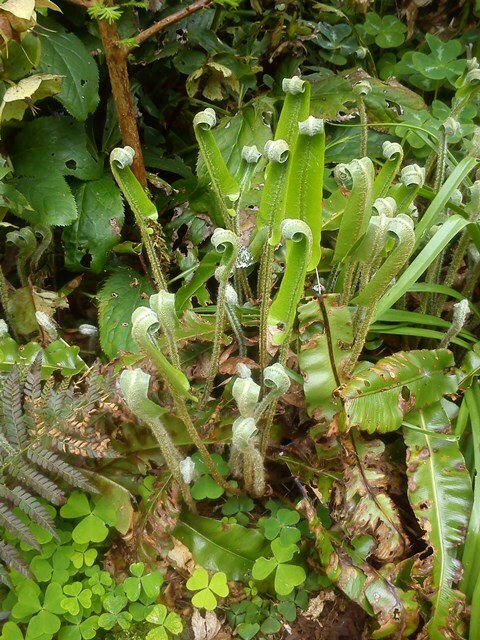 Ignore the poor dying plant - it's been really cold here! I made no changes to the tutorial and it turned out great! With the insulbright and the interfacing, the bag is pretty sturdy (a lot better than my original one which only had one layer of batting). I used Aneela Hoey charm packs for the exterior and a fat quarter for the lining fabric and handles. 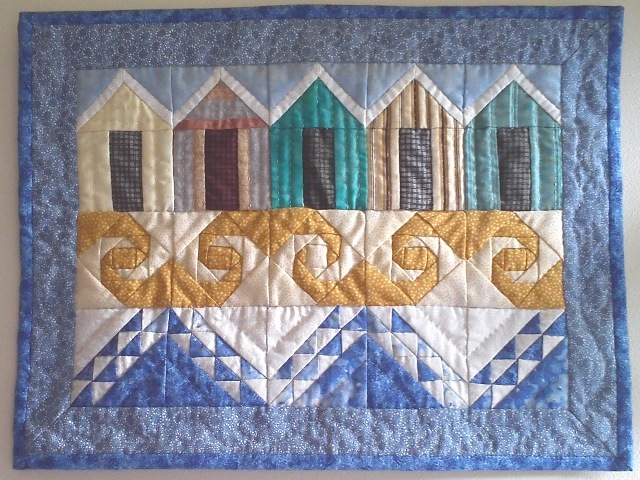 I quilted it with some simple straight lines. I was really happy with how the bag turned out and Debbie loved it! And now that I've had my bag fix, I can get back to making quilts. I will be linking up at Crazy Mom Quilts for Finish It Up Friday and at Lisa in Port Hope for TGIFF. 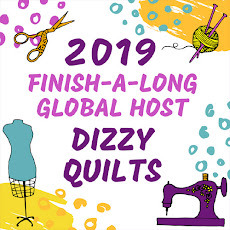 The 2017 Finishalong has a global team of hosts, and one by one they are introducing themselves in the "Meet the Host" posts throughout the year. Now I am NOT a Finishalong host, but I have the honour (!) of being the person behind the Finishalong Instagram and Facebook accounts (Social Media Director). And in that role I have been asked to introduce myself, too. If you are here for the first time, you are very welcome! I was born and raised in The Netherlands. And before you think, "tulips, clogs, and windmills" that is not quite how it is living there. I never lived in a windmill, for one, though I lived in many places! However, I did cycle every day to school at the other end of town - yes, everyone does cycle in The Netherlands! 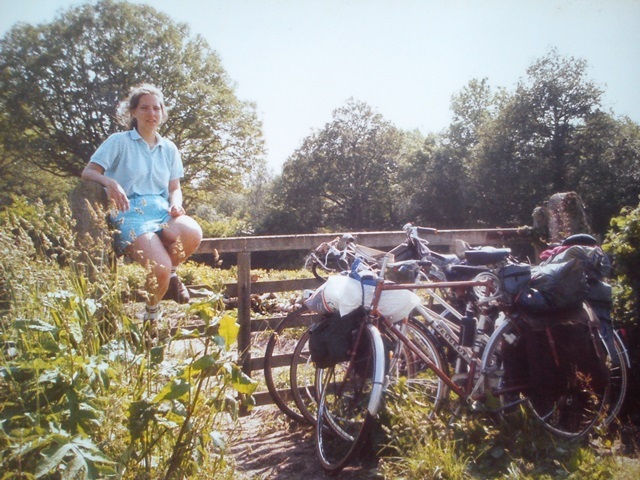 As a student I even went on a cycling/camping holiday to England with friends. 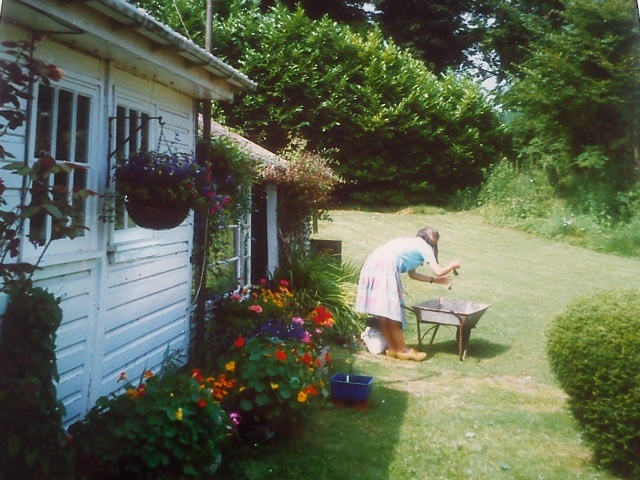 And I did not wear clogs... until I started doing a lot of gardening in our first proper "adult" house in Kent (UK). They do take some getting used to, but are perfectly warm and dry, and so easy to slip in and out of! I also LOVE cheese, any cheese! And nowhere can you find such a wide selection of cheese as in The Netherlands, I think. I studied at the Agricultural University in Wageningen, and thoroughly enjoyed living in this small university town. 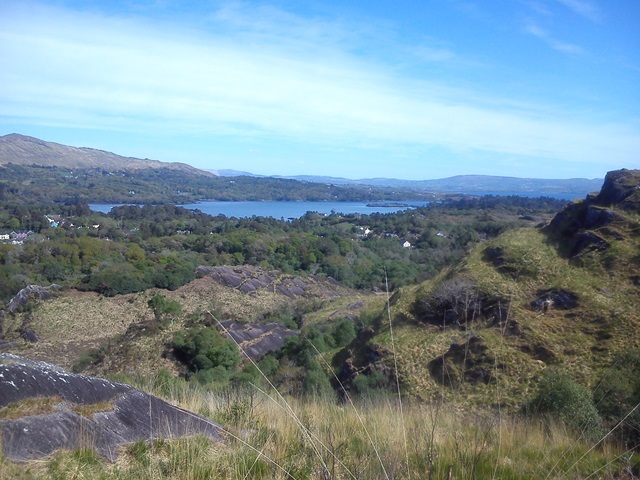 I spent a half year doing my internship in New Zealand, and eventually ended up with a MSc degree, and a future husband just months before he finished his studies and left to do a PhD abroad. Growing up, I was often crafting, learning crochet and dress making from my mother, knitting from a neighbour, and many other crafts from magazines and books. 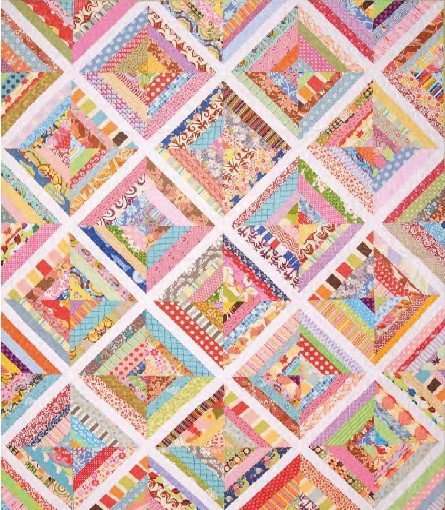 In England I came across my first patchwork quilt, and from then on I needed to learn how to make them. Beginner's classes started me of with drafting blocks, making templates and hand sewing (no rulers and rotary cutters at first! ), followed by more classes, workshops, books and magazines, always wanting to learn more. A visit to a quilt exhibition has me peering closely at the way certain effects have been achieved, even now, so many years later. I just LOVE to learn new things! 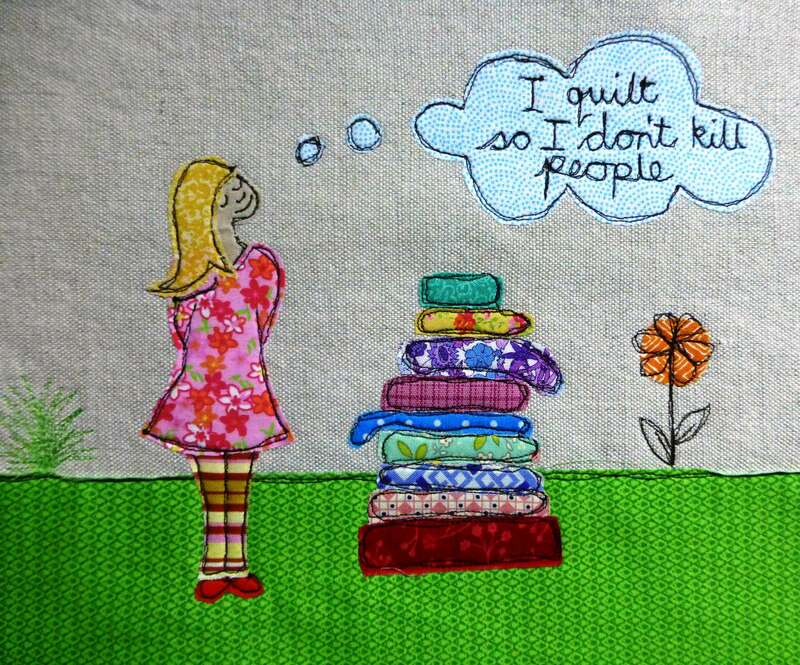 Moving so often, quilt making also gave me an opportunity to find new people and make friends wherever I went. In some places it took a while to find out about them, but always I did find some group or other of friendly and welcoming quilters. And soon enough I was teaching quilt making, too. Then in 2012, I started a City & Guilds Level 3 Certificate course, and as part of that we set up a (private) blog to share notes and work between us students. Which led me to start reading blogs, and starting my own blog soon after. Since I have a compulsion to stitch and sew (I sew, of course! ), and fill the blog with my creative works, its inspiration and anything that takes my fancy, I named it Studio Sew of Course, and followed by being "sewofcourse" for all social media. I am very active especially on Instagram, but can be found elsewhere as well if you are so inclined. Of course, I learned so much again in the course! The range of techniques covered in City & Guilds is enormous, and the design process poses challenges of its own. The course includes many, many samples and small projects, as well as five main items to be made, see my City & Guilds page for some of it. 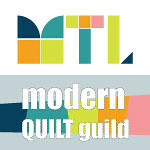 Since the course my way of quilt making has changed, too. I have always been easily tempted to try something new, but now I'd try anything. And of course I made the most wonderful friends!! 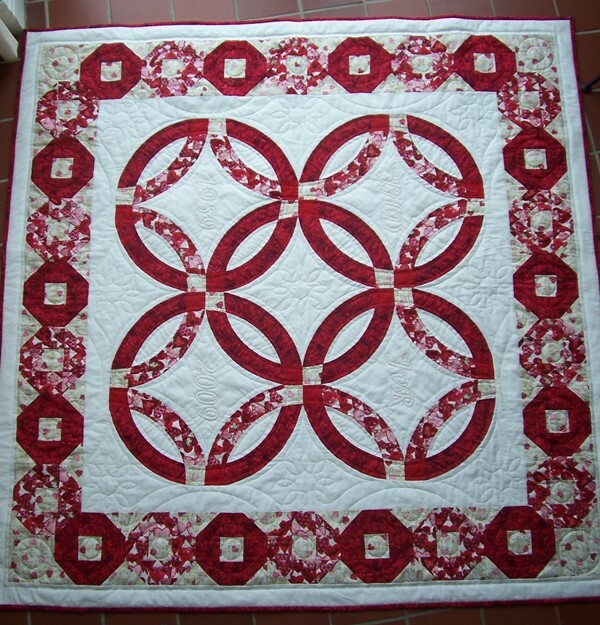 In all those years I mainly hand quilted my quilts, not having a lot of confidence to use my domestic machine for quilting. 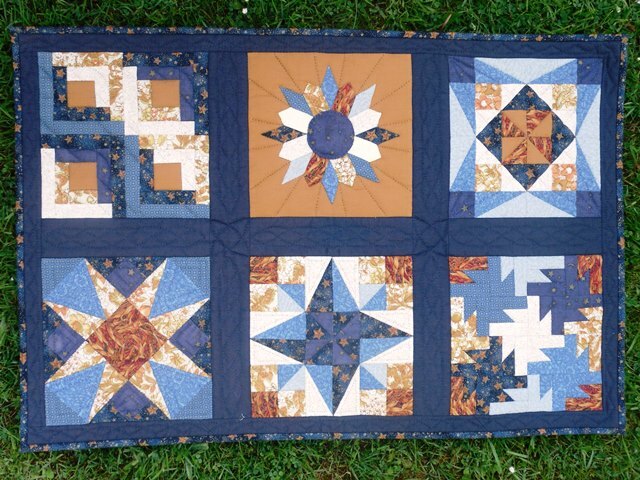 This has led to a rather large number of half-quilted quilts, and unquilted quilt tops! Then I discovered the Finishalong a couple of years ago, and joining in has helped me to reduce the number of WIPs to a more acceptable amount. 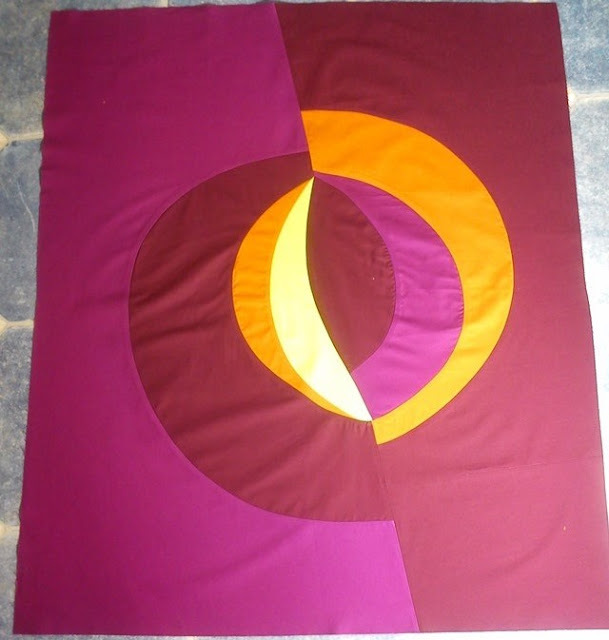 I also got a lot of practice in machine quilting as part of the City & Guilds course, so my confidence has grown somewhat. Now I have to just put it into practice some more... and remember to quilt with a less stops and starts - I hate tying in a million threads! I may be finishing some of my projects a bit quicker. My current Finishalong list contains some rather varied projects, and is not in danger of being finished very soon. Besides, there are more projects in the house that haven't even made it on the list (yet). I can see my list grow longer before it will get any smaller! I still teach a weekly quilt group in our local library, and we hold a yearly exhibition of our work there, too. 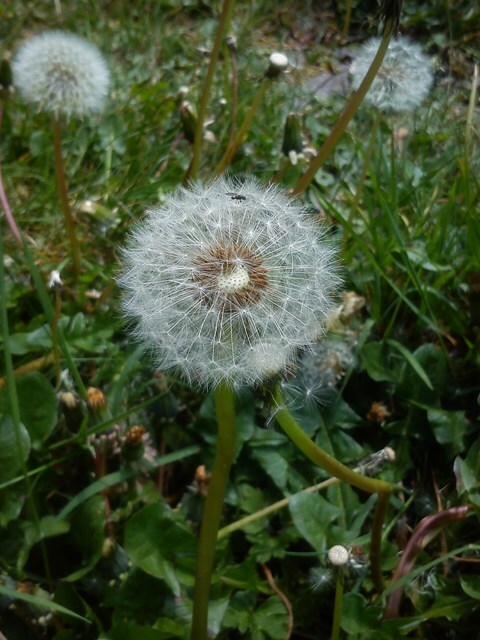 One thing is for sure: I won't be bored for a long time yet! !